he creates Knot work designs. so I have included symbols which personalize it. a small “knot” representing movement. (the Goddess of the hunt and protector of the innocent). much as the world does. for everything may not be as it seems. designed for specially for Diana. He then sent me an image of his beloved friend who had passed and wished for me to give the amulet his likeness. 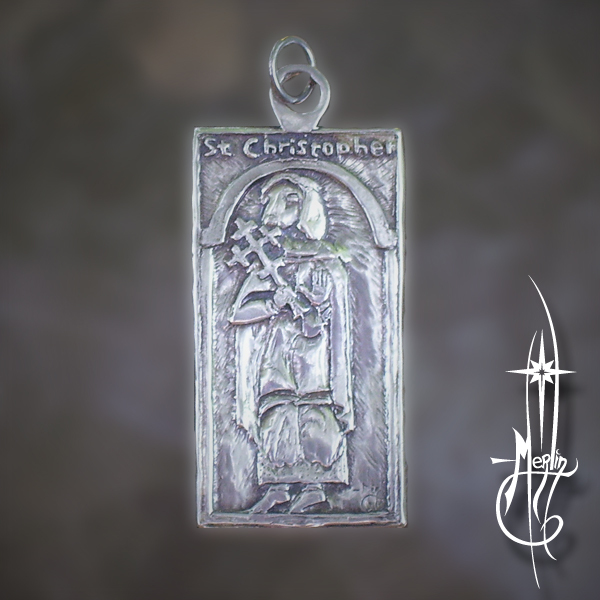 I was honored and set to work on the project and created a St. Christopher Amulet in sterling silver, framed as the ones in the Olde Days: the central figure of Saint Christopher offering a benediction of peace, holding a cross with the countenance of his blessed canine. 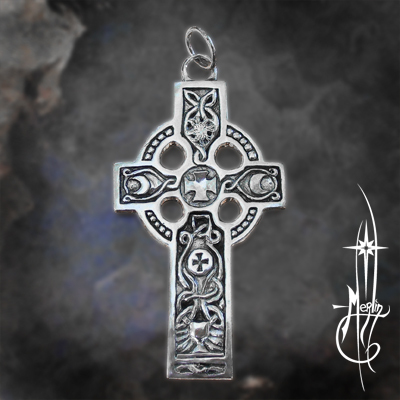 If you would like a special amulet made for you please visit my How to order custom page. 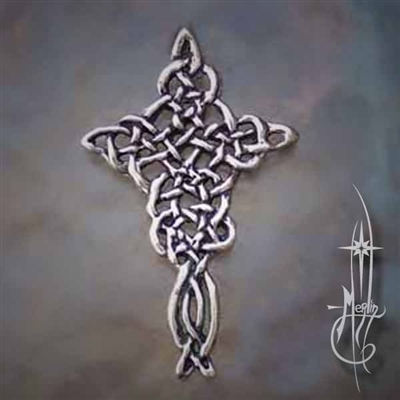 A cross for my friend Diana. so I have included symbols which personalize the cross for her. and above that the image of the chalice rises above.